After 2013’s Ansia and 2017’s Hope, I’m a firm fan of what this band produce, and Dreams of Quiet Places is their latest masterpiece. I don’t use that word lightly either. Dreams of Quiet Places takes the core of the band’s black metal and increasingly channels this through avant-garde and post-black metal influences to create a thoroughly modern and forward-thinking album of blackened musical landscapes. This is music with depth and substance baked into it, and it shows on almost every second of the 45 minutes here. Deeply atmospheric, the songs use a black metal base to craft highly emotive music, weaving esoteric moods and blackened tapestries with ease. This is music that’s richly textured with nuance and subtlety, even when at its most blisteringly aggressive. Dissonance and melody rub shoulders with tasteful synths, inventive structures, and creative songwriting. Psychedelic and atmospheric avenues are frequently explored, and each track is constructed with thought, imagination, and skill. There’s an experimental streak here too, although this is tamed by the band’s blackened roots, resulting in avant-garde stylings and flourishes of darkly colourful ideas. Special mention should go to the guitars; some of the guitar parts on this album are just jaw-dropping, and really captivating. Whether going for atmosphere, a certain emotion, blistering assault, or just plain strangeness, the guitars help shape the music’s feel and impact even more than you would normally expect for something of this nature. 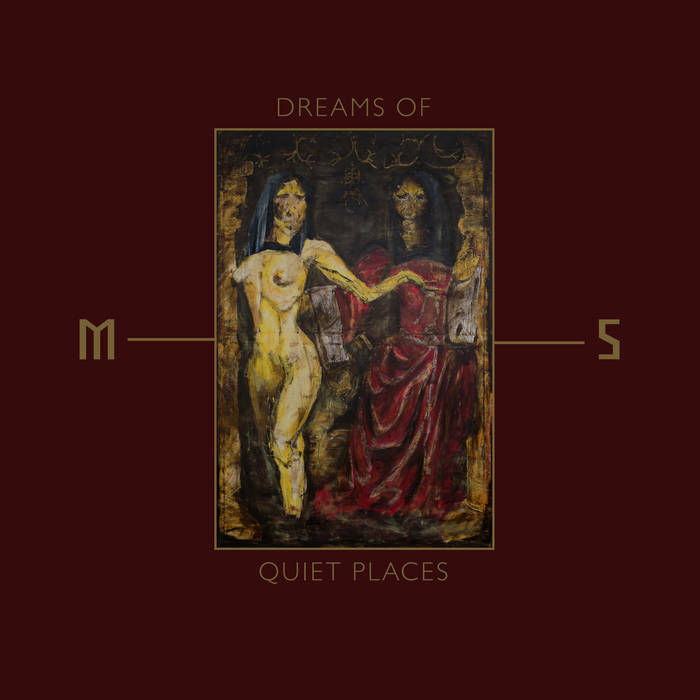 Dreams of Quiet Places is a stunning album, one which continues to see Mord’A’Stigmata refine and progress their already extremely capable and enjoyable sound. This entry was posted in Black metal and tagged Atmospheric Black Metal, Avant Garde Black Metal, Black metal, Metal, Modern Black Metal, Mord'A'Stigmata, Post-Black Metal, Psychedelic Black Metal. Bookmark the permalink.